Gone are the days when composting was regulated to rural areas. Major cities across the U.S. are becoming serious about decreasing the amount of waste in their landfills and incinerators. Some cities, like San Francisco, have gone as far as making composting and recycling mandatory for its residents. According to the Institute for Local Self Reliance, significantly decreasing waste disposed of in landfills and incinerators will reduce greenhouse gas emissions to a level equivalent to closing 21 percent of U.S. coal-fired power plants. What happens when all of the landfills are full? So as municipalities look for ways to decrease greenhouse gas emissions, the first place to look might be in residents’ trash cans. 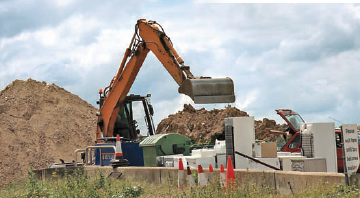 Sanitation engineers are busy every day in communities across the U.S. in tens of thousands of trucks picking up trash to bury in landfills. Nonbiodegradable trash is mixed with biodegradable materials such as paper products, food scraps and yard trimmings. These biodegradable materials amount to half of our discarded resources. Information provided by the Cool 2012 initiative to remove compostable organics from landfills says that when buried in a landfill, those lettuce heads, grass clippings and paper boxes don’t just break down as they would in nature or in a compost pile. They decompose anaerobically, without oxygen, and in the process become the number one source of human-caused methane and a major player in climate change. Composting is a natural process in which once-living materials go through a process of rotting and breaking down, which ultimately creates a new nutrient-rich soil amendment that can help grow healthier lawns and gardens. Composting can be done on an individual, municipal or commercial level. Cities including San Francisco, Calif.; Boulder, Colo.; and Boston, Mass., have made composting an important part of their environmental plan. 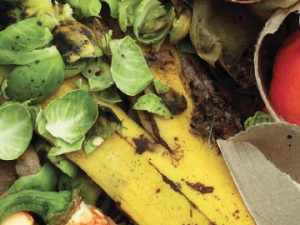 San Francisco created the first large-scale urban collection of food scraps for composting in the country and today, hundreds of thousands of residents and over 5,000 restaurants and other businesses send over 600 tons of food scraps and other compostable material to Recology’s Jepson-Prairie composting facility daily. Food scraps, plant trimming, soiled paper and other compostables are turned into a nutrient-rich soil amendment, or compost, that is used to produce the organic food and wine the city is famous for serving. The composting process also creates a useful product that can be used by municipalities themselves, redistributed to residents, or sold. Municipalities looking to get started on composting can visit www.cool2012com. The outreach and education campaign provide tools, models, presentation materials and public workshops across the country. Municipalities that are in the process of creating a composting plan, or that find themselves currently unable to do so, can still encourage their residents to compost as individuals by providing useful information on websites and as part of public programs. Many school systems are teaching students the value of composting as part of environmental programs as well. Rows of mulch are processed and ready to use.